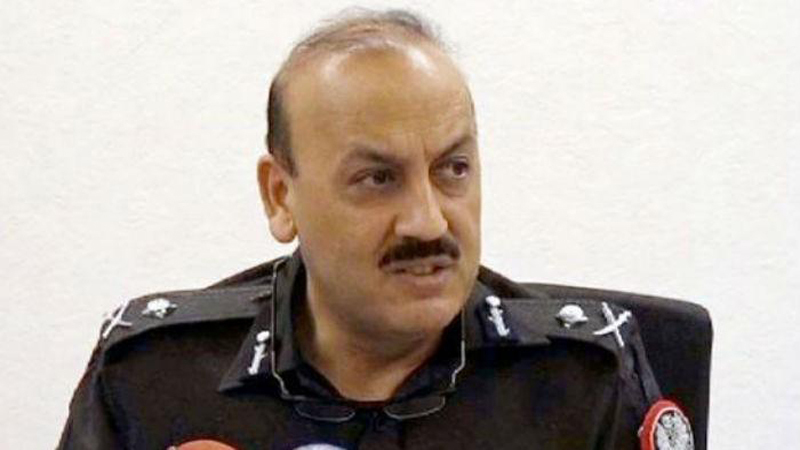 LAHORE: The Supreme Court (SC) on Thursday dismissed appeals filed by the Sindh government and others against Sindh High Court’s (SHC) orders of permitting Sindh Inspector General of Police (IGP) Allah Dino (AD) Khowaja’s to continue as the Sindh IGP and declared that the appeals lacked merit. However, the court declared that the appellant was entitled to make new laws conforming to modern needs and observations made in the impugned judgement. The court further declared that on account of appeals’ dismissal, its interim restraining orders regarding AD Khowaja’s transfer would not remain in field. Hearing for the petition filed against Sindh IGP AD Khowaja’s appointment as Sindh IG began at the Supreme Court’s Lahore Registry. A three-judge bench led by the Chief Justice of Pakistan (CJP) Mian Saqib Nisar conducted the hearing. The Sindh government’s senior lawyer and former Pakistan People’s Party (PPP) law minister Farooq H Naek asked the court to adjourn the hearing for two hours so he could prepare all his arguments. To which the CJP said that since there was no time in Islamabad, he had brought the case to Lahore and that Naek should finish his arguments in just an hour. Naek argued that AD Khowaja was a 21-grade officer who was deployed on a 22-grade seat and that a 22-grade officer served as a subordinate to AD Khowaja. To which Naek said that he had retained the position of the Senate chairman and that he only spoke in legalities, not politics. He further said that according to the rules of business, the Sindh government reserved the right to replace Khowaja if required. Naek further added that the Sindh High Court’s (SHC) earlier decision of replacing Khowaja was well within the rules of the police. He said that the SHC verdict suffered from a grave error of law as the directions were contrary to the fundamental and well-settled principles of parliamentary sovereignty. The SHC directions were tantamount to powers of legislature which was unlawful, he added. He said that SHC’s interference in the posting of the Sindh IGP was a violation of the 18th Amendment, which gave autonomy to the provincial governments in their administrative affairs. He also said that barring the provincial government from passing laws or orders was against the sanctity and supremacy of the parliament. The impugned orders were breach of provincial autonomy and it was against the spirit of the 18th Amendment, he added. He said that the impugned judgment was unsustainable in the eyes of the law and therefore liable to be set aside. However, respondents’ counsel Faisal Siddique argued that the SHC verdict was in accordance with the law and pleaded to set aside the appeals. In January, the SC rejected the Sindh government’s petition to stop AD Khowaja from continuing as the Sindh IGP. The CJP granted leave of Sindh government’s petition challenging the SHC’s September 7 order to permit AD Khowaja to continue as Sindh IGP. The bench also allowed AD Khowaja to continue ordering transfers and postings of police officials. It also observed that even the federal government could not remove the Sindh IGP till the final decision of the court. The CJP appreciated the SHC’s order wherein it permitted Khawaja to continue at his post.